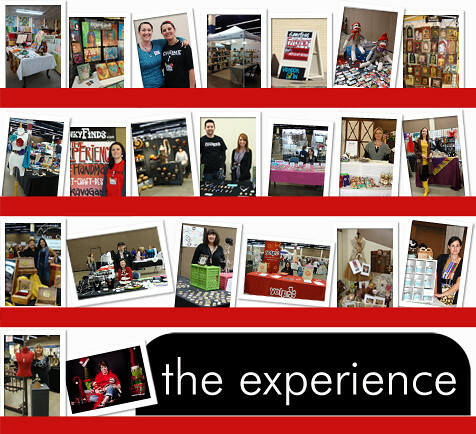 The Funky Finds Experience was tons of fun & a great event that we look forward to hosting again next fall! I will begin highlight some of the talented artists, crafters & designers that participated in the event next week. For now, I would like to thank everyone that participated, attended & supported Funky Finds during the planning & execution of the event. 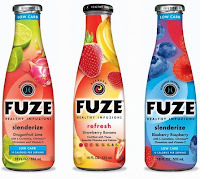 I'd also like to thank Fuze for donating 15 cases of drinks for our vendors & staff members! 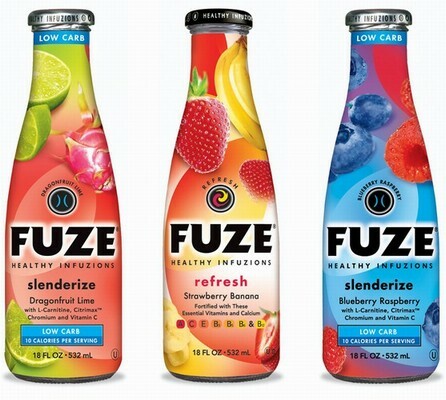 These drinks are yummy & the Slenderize options are low calorie & only have 1g of sugar per serving. It was so fun seeing the large rainbow Fuze van pull up to the venue while vendors were unloading! Another big thank you goes out to all the generous business owners that donated items for the swag bags given out in conjunction with the charitable raffle, as well as those that donated items for the raffle. A week or so prior to the event, The CW 33 in Dallas/Fort Worth filmed a segment previewing some of the artists participating in The Experience. If you were unable to attend, you can view our funky event booklet below. A big thank you to all advertisers! If you ever need assistance in designing a booklet for your event, or need design services for other promo materials and/or your blog/website, please check out our business Right On! Graphics. Click here to open publication.